Sander is joined in the suit by Joe Hicks, long-time civil rights leader and Vice President of Community Advocates, Inc., and by the California First Amendment Coalition (CFAC). 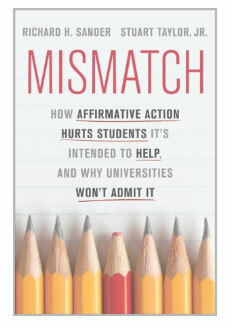 To Hicks, “the real fear appears to be that the data may challenge the long-held belief that affirmative action is beneficial. The only way to bring this long-standing debate to fact-based conclusions is to allow legitimate research to proceed.” CFAC, a free speech and open-government advocacy organization, contends that the requested records belong to the public, not the Bar, and therefore must be made public, so long as they are provided in a manner that protects bar-takers’ privacy. The procedurally unusual suit was filed in the Supreme Court, based on decisions indicating that it may have “exclusive” jurisdiction in cases against the State Bar.